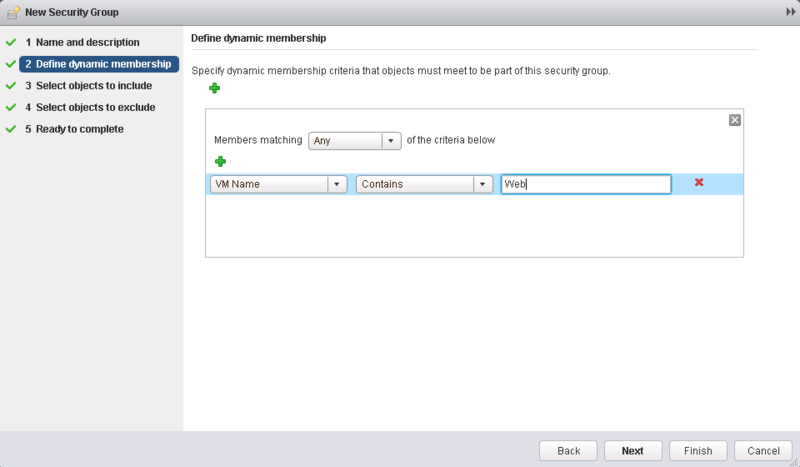 I haven’t actually ran into any issues when creating or deleting service groups in NSX. There are only a few things that I can think of that the blueprint is referring to for this section. The first, is that I assume you will be troubleshooting a service group creation that may not include the VMs that you expect it to. In this instance, it could be that the Dynamic membership does not have the correct membership criteria. I suggest that you double check the membership criteria, which you can do following this article. 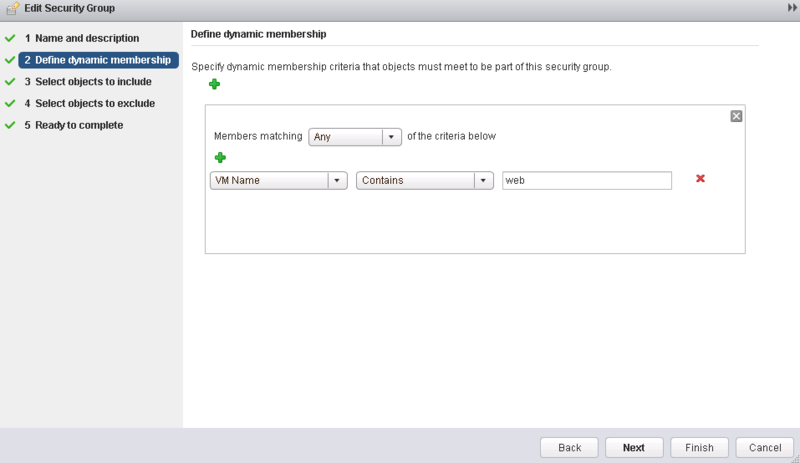 To confirm the membership criteria, you will want to navigate to Networking & Security -> Service Composer -> Security Groups and edit your group. Make sure that the entity you expect to be a part of the group matches the criteria, if it does not, make sure you change the logic or add new criteria. The other only thing I can think to check if you receive an error when deleting or creating a security group, is to check the NSX Manager logs. Log into the NSX Manager appliance via SSH and run the following command. I had created a security group called “test” with the following criteria. We can see the creation of this Security Group and the two VMs Web-sv-01a and Web-sv-02a being added to this group.